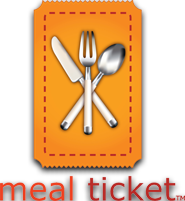 Customer Payment Portal – Click to make payments on your account with Merchants Foodservice. 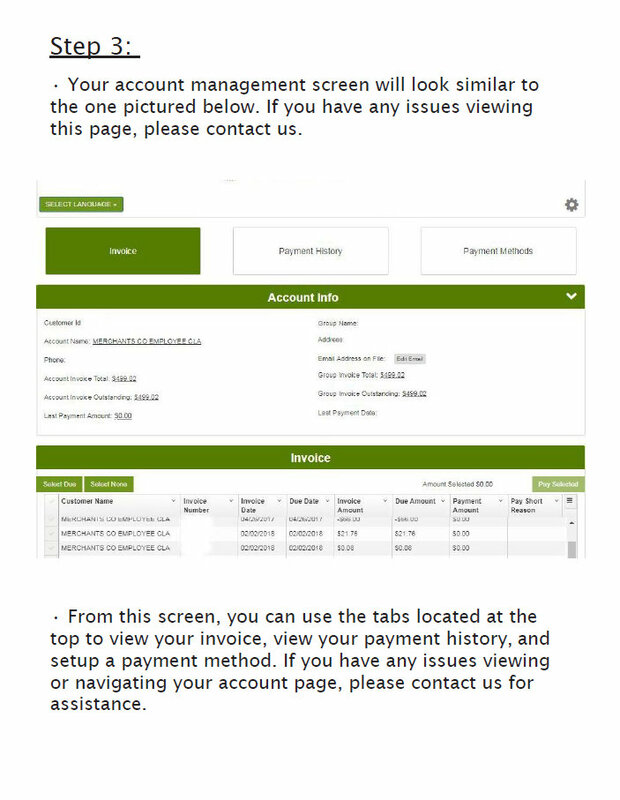 First time using the bill payment portal? 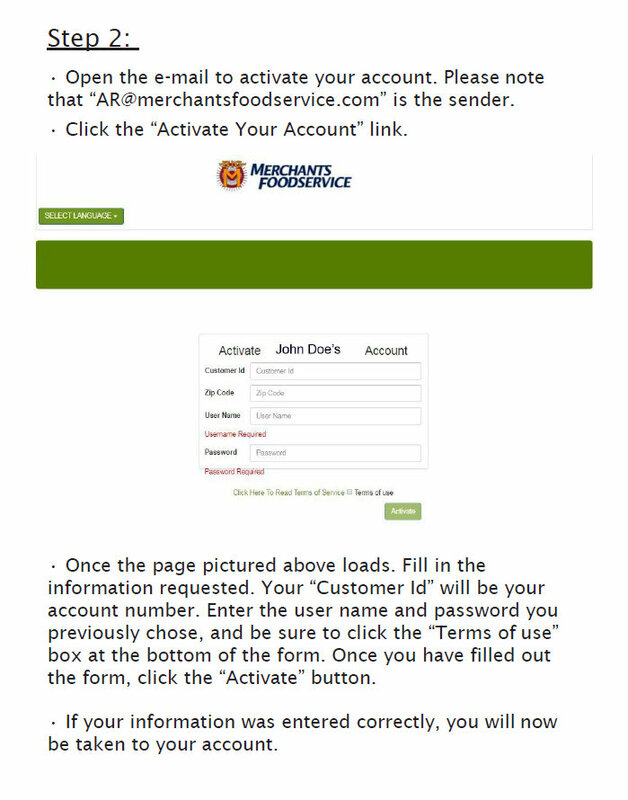 Please follow the instructions below to setup your payment account with Merchants Foodservice. 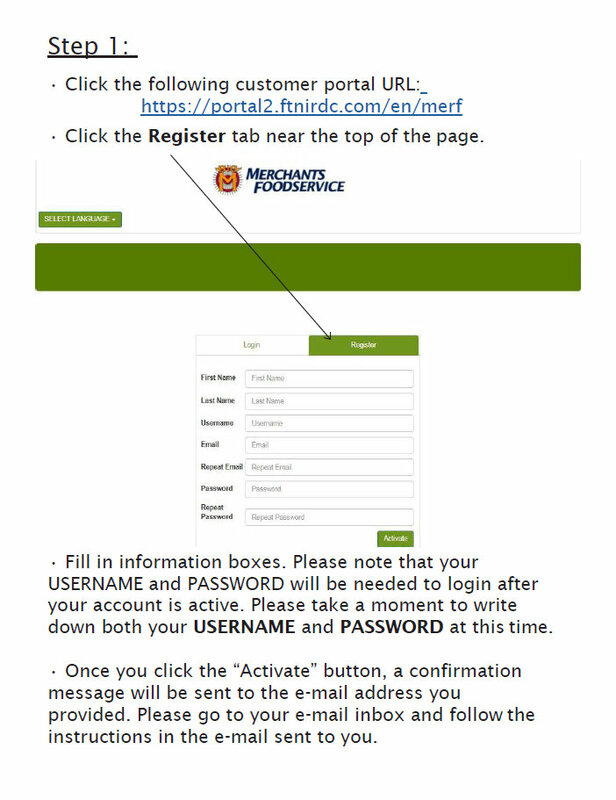 If you have issues, questions, or concerns with setting up your account, please contact us at 601-584-4005 or email us at creditdepartment@merchantsfoodservice.com.